On the player’s side of things, I appreciate the new lighter approach the rules have taken. Everything is fairly streamlined, ability score bonuses play an important part in the game, and fidgety bonuses have been condensed to Advantage/Disadvantage and proficiency bonuses that don’t change too much through the character’s career. I also appreciate the game’s attempt at making backgrounds, flaws and other character traits take center stage, granting mechanical rewards for using them in play. D&D has rarely been too interested in how its players role-play, so seeing the new inspiration rule in play brings a smile to my face. I like to see good role-playing at the table, whether I am playing or DMing. The game just including (for now) the classic races and classes is fine, in my opinion. If for example, Lord of the Rings is your only source of a fantasy frame of reference, you know what a dwarf is, or an elf. A wizard is like Gandalf and a rogue is like Bilbo. No Eladrin, Shardminds or Wilden need apply. We’ll get all that stuff later on in the game’s life, and that’s fine by me. The short and sweet combat rules are another aspect I like, although I admit that they read to me like a grid game that purposely decides to not mention it is a grid game. Creatures still occupy a 5′ space, which is entirely arbitrary and comes from the game’s previous grid based rules. Nevertheless, the game’s attempt at not requiring a grid is fine, although I feel that there aren’t enough adequate examples for new players on how to run a combat off the grid, just using your imagination. FWIW, I used a grid when I DM’ed the game here at home. I’m also really enjoying the magic pseudo-vancian rules they’ve come up with. Some spells can be cast as rituals, and low level spells can be cast using a higher level spell slot for a stronger effect. We’ll see how the magic vs. martial thing pans out as the edition gets played, as this has been one of the biggest concerns amongst 4e players regarding 5e. As a DM who came over from 4e, I’m missing rules on encounter building, and the elegance of the 4e stat block for the monsters. There was just something about the way that stat block was laid out that popped and drew your eyes to certain spots on the page. 5e isn’t as nice for me in that regard, and although it wasn’t hard to read or run with, I’m sticking with 4e as my favorite D&D stat block yet. The starter set includes enough in the adventure to give you a few good meaty sessions of play, so that not having the hard covers will affect your play time, but once you get past it you’ll have no use for it again. It brings no maps, tokens, or anything of the sort. It’s really meant to (A) draw in new players, and (B) give fans of D&D something to get started with and try out 5e before it’s really out later this year. Overall, I’m happy with the direction 5e took. There’s a certain something about it that draws me back to 2e (the edition I played the most in the old days). The writing and prose used in the basic set draws me in and makes me want to tell stories in these worlds, and I know that this is entirely subjective and you may not agree with me, but that’s the feel of this game for me. Right now I’m cautiously optimistic with D&D. The tone, the attempts at inclusivity, the call backs to older fiction and worlds, and it’s attempt at reaching out to players of all editions of the game are hitting the right notes for me. I’m on board. Now that 5e in essence is here, I am excited by it. The new elements in the game are faster and easier to implement. Stat blocks. There is my bugbear, talking to my brother boost this I couldn’t get him to understand that they just do not look or feel right. I guess I will get used to them. Plus, I am sure the world wide Web will provide me with a look that works. All in all I agree with what has been done. Something I like about the Basic rules at the moment is how they seem to have taken some interesting concepts from outside fantasy. The rogue and the Criminal background seem to have used Han Solo and Indiana Jones as examples (smuggler having to pay off a debt, specialist in finding artefacts in old tombs/dungeons etc). I think that a Rogue with the Sage background could be very similar to Indiana Jones. I fully expect to see the rules and guidelines for encounter building etc in the DMG. I’ll be honest, the basic rules feel like Advanced 3.5: The Supplement. And not in a good way, unfortunately. 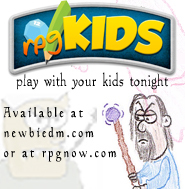 Maybe the PHB will fix some of the issues with more options and some expansion or alternatives to broken or mismanaged mechanics, but the basic rules aren’t terribly inspiring. I’ve a lot of nitpicks with the system, like the return to the meta-game casting system, a heavy emphasis on magical healing, continued use of the unused ability scores, an overly complicated experience chart and system, the broken dis/advantage system, and so on. It doesn’t feel new or fresh or better, and I honestly feel like I’d rather go back to 3.5 than play 5E. Which leaves me a little bit sad. @ Svafa – what do you mean “broken advantage/disadvantage system?”… you mean the multiple advantages completely offset by one disadvantage? I actually like the differences between a set bonus (proficiency, feat, class ability) giving you +2 or so to your score, and the advantage/disadvantage that seems to be a more environmental, one off bonus/penalty and how you can have both working for you or against you… the one area this seems to break down is the 1/2 cover, 3/4 cover which are +2/+5 AC bonuses, but I guess that’s fine as you can still get advantage (you are hiding when you fire) or disadvantage (strong gusty winds and rain) whether they are in cover or not… also, the HP thing.. a long rest gets you all your HP but only half your HD back.. so it seems pretty powerful and to me negates some of the “threat” of getting into single digit HP… but in the games I’ve played it has worked out well and it sort of prevents PCs from pushing too far into a dungeon/adventure if things go badly for them early on.. which is probably how it should be… I agree that some of the ability scores don’t seem too relevant.. and I also was sad to not see some sort of “skill challenge” that was tweaked for 5th edition but maybe that will come in the DMG in November.. overall I like the simplified version that has been released (although I do have some comments about some of the PHB options that seem a bit powerful).. but we’ll have to see how they play out as PCs gain levels and fight more resilient creatures and NPCs.